Today was the yearly library booksale, AKA the highlight of my year . It's in a well off town in a wealthy part of the country and so basically it's HUGE. There are thousands of like new books to peruse. I bought the usual boxful for $35. 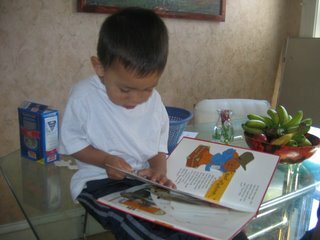 I mostly buy books for the kids. But I buy some for me too. Here's a picture of the boys enjoying a Paddington pop-up book. I also wanted to share with you a really cool idea I got from my sisters at Gentle Christian Mothers- from the big families forum. 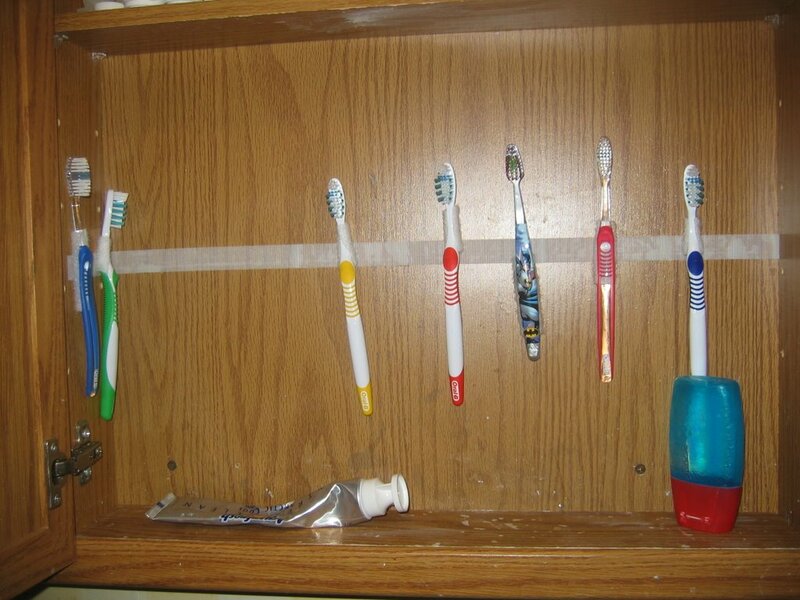 Hanging toothbrushes up with velcro. You should have seen what a mess this cabinet was before I did this. 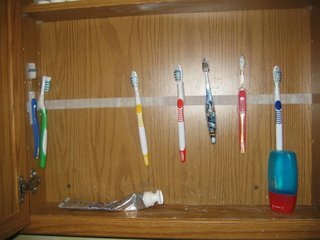 Notice my nephews toothbrushes on the side (they often spend the night).